Is City of Belfast your business? The Belfast Public Works Department will begin cleanup for downtown Belfast on Wednesday May 1st 2019. Nordic Aquafarms to Host Public Information Meeting on March 26 in Advance of Upcoming Permit Application Filings Nordic Aquafarms will hold a Public Information Meeting on March 26, 2019 at 6:00 p.m.
CMP will be conducting tree work in our area, starting in the Spring of 2019. Blasting will be occurring at the Belfast Municipal Airport as part of its planned parallel taxiway extension/bypass taxiway construction project. Lane Construction is the prime contractor for the project, and Maine Drilling & Blasting is the blasting subcontractor. This alert is to remind all residents that the Winter Parking Ban will go into effect on November 1st and remain in effect until April 30th. The December rabies clinic sponsored by the Waldo County Humane Society will be held on December 8, 2018 at the Burnham Municipal Building, 247 Horseback Road, from 9:00 to 11:00. The City will be starting the Harbor Public Restroom tiling project on Wednesday, October 31st. The contractor will begin with the men's restroom and then move to the women's restroom, we expect each side to be closed for one week to tile and let the grout set. 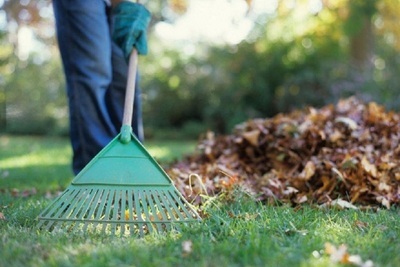 The Belfast Public Works Department will begin picking up leaves inside the by-pass area on Monday, October 29th. The City has recently received concerns regarding increase in rodent population on private property throughout the City. City of Belfast Transfer Station will be closed Thursday, October 18, 2018 for paving. The City of Belfast is seeking two (2) committee members to serve on the City’s Website Redesign Committee; the City of Belfast is looking to have one member who would not be especially technologically adept/savvy, and is looking to have the other one to possess specific expertise in web design. The following trees are in the Public Right of Way and as such are managed by the City. The City of Belfast is accepting applications for a Transfer Station Recycling Attendant.